I've just received my InfinityMR-S gimbal with AlexMos controller (2.60 b4). 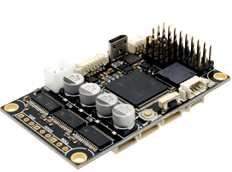 I'm trying to connect Pixhawk (ardupilot) to AlexMos to be able to control it. I've followed the instructions in the alexmos manual but didn't succeed. Nothing happened when I run Pixhawk and gimbal after doing the stated configuration. I also tried to communicate using the Serial Protocol but didn't succeed. Pixhawk send commnands and the gimbal moves but It just moves to its limits of angles. Could someone please help me to get this to work? I have an InfinityMR-360 gimbal with alexmos controller (2.60 b4). I am also trying to connect to a Pixhawk 2.1 running arducopter 3.4 and also having some troubles. When you say you got it to work using the Serial Protocol are you using the Mavlink protocol explained in the manual on page 67 or the serial protocol compatible with Ardupilot param SERIALx_PROTOCOL = 7 (where x is your port number)? If it the serial protocol do you happen to have a guide or link for instructions? Here I am trying to get the Mavlink protocol working, but getting stuck at Control. I can get AHRS, GPS, and RC to all return OK but I can't seem to get Control to return OK. Using UART2 I have connected AUX3 and RC_YAW to the Pixhawk Telem 2 port. As for the limits of angles I might be miss understanding, but here I had to adjust the Num. Poles in order increase the angle limits. For full range I had to set Num. Poles to 28, 28, 28 for ROLL, PITCH, and YAW respectively. Hopefully we can help each other out with this issue. I'm Julien, new owner of a Infinity-MR 360! Really happy with this gimbal, i made wonderfull shots with a 2 operators configurations, stock settings and a Sony a6000. Where do you plug the green and orange wires? Yaw or Aux? Second issue for me, the connection of an Rx on aux3 and RC yaw (operator controlling pitch/yaw) does not work anymore since i tried to connect Mavlink, even after setting all the parameters back. The MavLink configuration is described in details in the User Manual ver.2.6x, you can download fresh version from our website. Try to follow all requirements and configure it in the AutoPilot, as described. 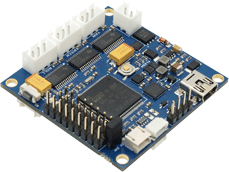 For the second question: when you select MavLink protocol on the RC_SERIAL port, system automatically change the "RC_ROLL pin mode" to "SBGC Serial API". Disabling MavLink does not return this parameter back. Go to the "RC" settings tab and set it back to desired mode. I have managed to connect pixhawk trogh either serial or mav. On 2.60 yaw is inverted, 2.62 imu/motor mismatch ... is there a way to download 2.61 ? If using serial or mavlink how to set up fc gains and fcroll/fcpitch ? If ahrs is ok does still need for those to be set up ? Manual does not specify fcroll/pitch. How to set those up in apm ? Observed that mnt control on apm has priority over controller. Example angle limits are set be apm not basecam no matter what targeting mode is selected in apm mnt targeting mode. Is there a way to use basecam settings when connecting on mav ? Is it serial xonnection advantages over mavlink ? The Parameters FC_ROLL, FC_PITCH gains are for old PWM way of connection, so with MavLink are not in action, just leave empty. When AP takes gimbal under control, it has a priority compared to RC control. But RC limits are still applied to ROLL and PITCH, as usual. Also, some smoothing is applied (equal to 5 if set in the RC tab). 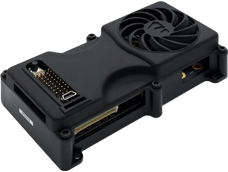 Which settings do you want to be in action for AP gimbal control? Our Serial API is more gimbal-targeted, of course. MavLink has very pure support for gimbals. I have a question for You who can help me. 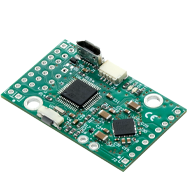 I want to connect my board i think it is 32 bit regular to my pixhawk viamavlink but i want still to have possibility to connect separate reciever to my BGC. 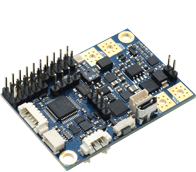 Simply i need to connect via mavlink so that my gimbal get help from flight controller but i think when i turn on uart2 i must use RC_Yaw pin so im loosing control for my second operator im understanding that right ? Or i can just connect pixhawk via aux port on BGC and still use rc ports ?? Yaw from the flight controller comes from the drone moving not the gimbal. sorry but your not the first to get this working !!! you do not need to control all 3 axis only 2 axis max! Yes you do not need to control yaw or roll you can use follow mode and only control pitch from RC tx most people use the extra Chanel as camera trigger ! awesome can you point me to who has it working in the context I am speaking? with a Pixhawk and a IMX6 from solo coordinating the smart shots? Aye, I've just discovered the solo link. Bits arrived yesterday and within 2 hours set up and working. I've also the MrPro which I'd like to feed with mavlink down the road. It may have been done but I've not heard much descriptive talk of how and the results. I've even heard some considering coining in on their solution. Which makes me think it's not so easy. Trying out the alexmos with mavlink but I'm not getting any communication. all other SR3_ parameters set to 0. 100 packets, 4500 lost packets and around 1000 parse errors. I'm using the gimbal ARRIS cm3000 (SimpleBCG32-Alexmos). I'm practice the wiki of ardupilot which is about gimbal connection --> (http://ardupilot.org/copter/docs/common-simplebgc-gimbal.html#commo...). I'm deeply studing the wiki ardupilot, i'm searching about a parameter that enables the YAW FOLLOW MODE in ardupilot but nothing until now. I know that ther is a Mavlink connection possibility (using different configuration and wiring) but I'd like to try with Alexmos first. can somebody help me? every advice is very helpful..thank's lot. I guess that the implementation of the SBGC32 protocol is incomplete in the Ardupilot. That causes problems with the gimbal control that you mentioned. 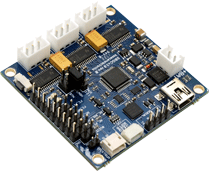 Try to switch to the Mavlink protocol and configure it in the SBGC32 controller. But another problem with the MavLink will be that the Ardupilot has not much parameters to configure its "follow frame" mode. To solve this, in the next 2.66b5 SBGC32 firmware it will be add a new option to disable DO_MOUNT_CONTROL for the YAW axis and keep it in native "follow YAW" mode. It can be switched On/Off by profiles: when you need the "follow YAW", use native mode. When you need POI mode, send a command to a gimbal to switch to different profile where Mavlink control for YAW is enabled. Also Mavlink connection provides the heading angle synchronisation and correction of linear accelerations to keep the horizon perfect. not a few problems with updated firmware2.63b0 settings). about my iusse i need to specify that SBGC32 seem just to filter the yaw information of the FC YAW IMU. Indipendently to DO_MOUNT_CONTROLL I get wrong yaw position just when i fisically plug the wiring in the telemetry2 port of FC. could MAV_CTRL_MODE in basecam GUI help me about this problem?